For over 85 years, Guillow’s has been making flying models that have delighted young and old alike. In fact, in our family there are three generations (starting with my 80 year old father-in-law) who have enjoyed building and flying their Guillow’s toy airplanes. 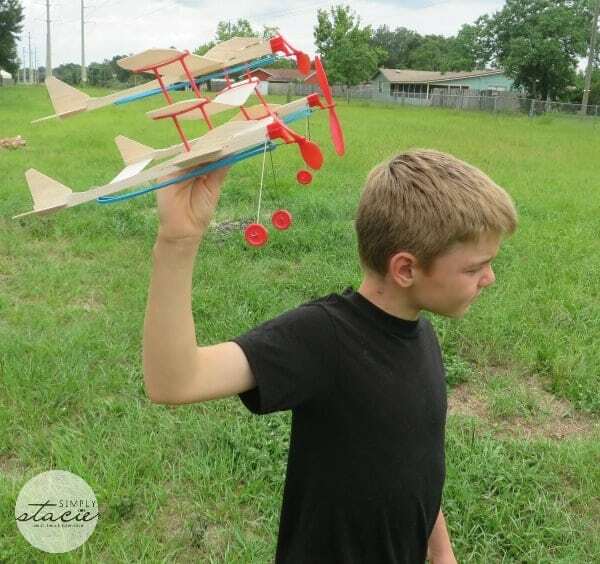 This summer, one toy that I highly recommend to prevent the dreaded protests of “I’m so bored” is the new Guillow’s Airplane Design Studio. My two boys have literally been playing for hours with their new set and literally screamed with joy as their airplanes took flight for the first time. 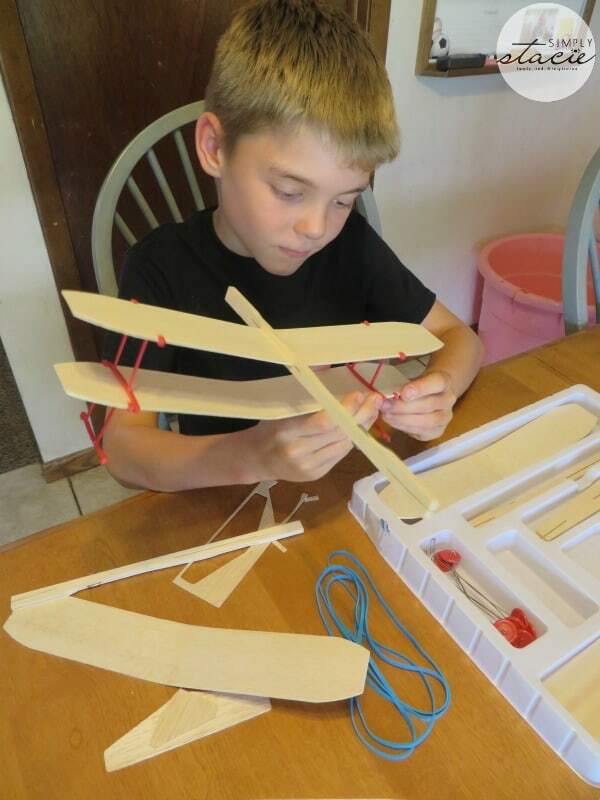 The Guillow’s Airplane Design Studio features 35 parts including struts, rubber motors, landing gear, propellers, large and small wings, a tail, glider, prop bodies and more. It is designed with lightweight balsa wood which allows these planes to take flight for a smooth gliding experience. I appreciate that all of the pieces come in a convenient storage tray so there is no mess and cleanup is very simple….hooray! My nine year old son and his “assistant” (his six year old brother) sat down and spent over 90 minutes planning, designing and creating their primary airplane and another smaller airplane with leftover pieces. It was no problem at all for him to construct his plane by following the instructions included with this set and my youngest son even made a smaller flying version with a little help too. After their masterpieces were finished they immediately wanted to head outside to fly their planes. Over an hour later and they were still racing around the field, shouting and giggling with excitement each time their model airplanes took to the sky…….they absolutely LOVE playing with this set. I am very pleased with how well this model airplane is designed for durability. Normally, the kids fly their balsa wood planes which quickly become damaged and in need of repair but not this set. They have played with it for three days as of this writing and it is still in flying condition. Adam especially loves that he can take his airplane apart and rebuild it in different ways. This is a great learning experience as he is able to see what works and what doesn’t work depending on how he builds it. This toy model building set is a great value at $24.99 and a nice idea for father/son projects or independent play. I love how it promotes creativity, encourages children to use their imaginations while learning about physics, design and mechanics too. Guillow’s Airplane Design Studio and additional flying toys are available for purchase at many local hobby shops or can be found online at retailers such as Amazon.com. I was happy to find a store near me. What a great way to introduce our kids to aviation! 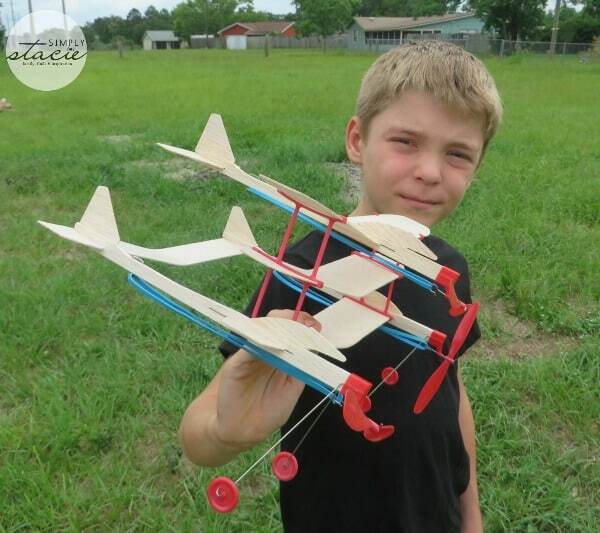 those rubber band powered helicopters are such an awesome design! i love kid powered toys! great learning resource! I learned that they have been making balsa wood airplane kits and flying toys since 1926. Thank you for the giveaway!! My son would love the 1000 – Scale Fighters & Bombers kits. i like that the activity set comes with over 35 parts for your child to build a model to their hearts content!!! Small Box O’ Balsa would come in handy for doing repairs as you know the kids will probably crash it and need parts to fix it. I son would love the balsa airplane. I like the Sky Streak airplane. I also like the Stearman PT-17 Model plane. I love the 1000 – Scale Fighters & Bombers kits. I really like the sky streak. It would be great fun for my nephews. I like the U.S. Hellcat. They have been doing this since 1926. The founder was a World War I pilot – impressive. I think this is a wonderful hobby with the airplanes. All boys love them too. My daughter would love the Search and Rescue CopterToy. She loves to make things fly!